Creative design:2pcs silicone mold with cute button shape.3 sizes of button mold:0.6inch,0.9inch,1.2inch. Mold Size and Material:8.5x4.1x0.2 inch/21.5x10.5x0.6cm.Food-grade Silicone. 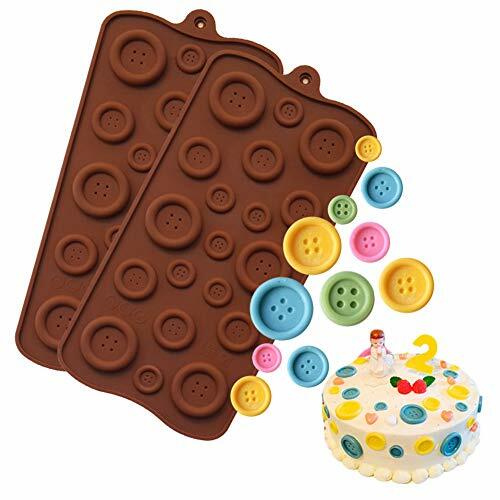 How to use:For the smaller buttons,you will need to first melt the chocolate and fill the button Before each use,please use hot water to clean. Tips:Acceptable temperature range: -40~220 degrees Celsius.Easy to clean and durable.